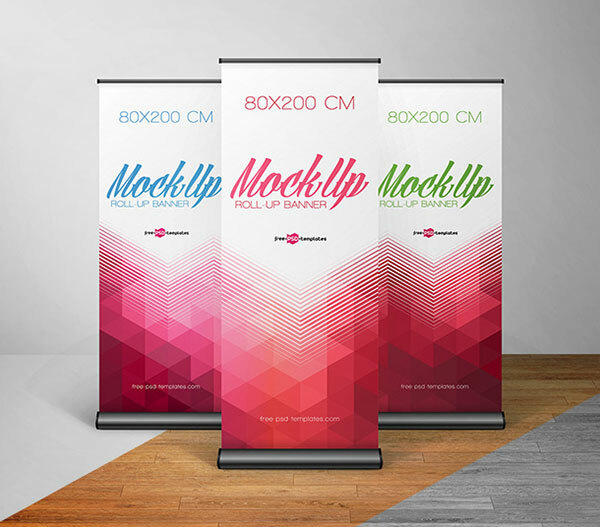 The original work sells mighty and earns a good deal rather than a replicated and imitated version of a product. 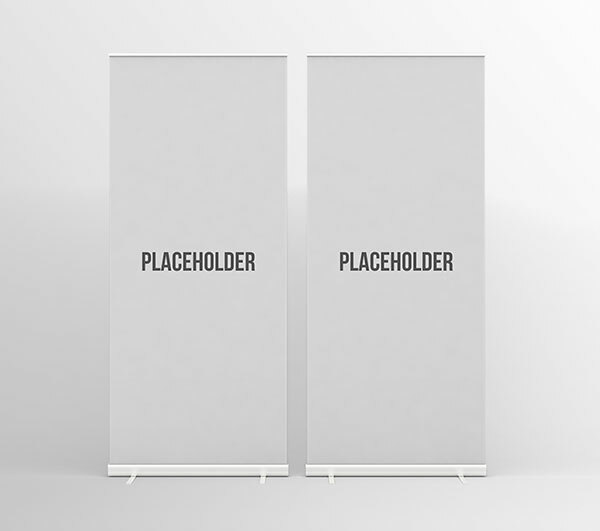 The same thing applies in the design market where plagiarized work remains on the backseat and the genuine design is approached & appreciated. 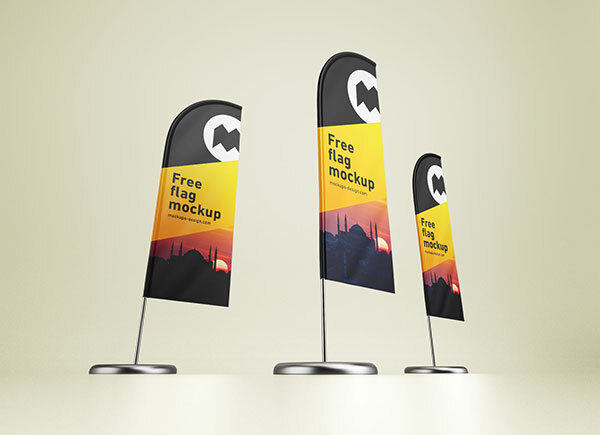 The best way to run in a market place is to be original, genuine, and pure in one’s intentions, having a clear vision and a determination to perform will take you somewhere extraordinary. 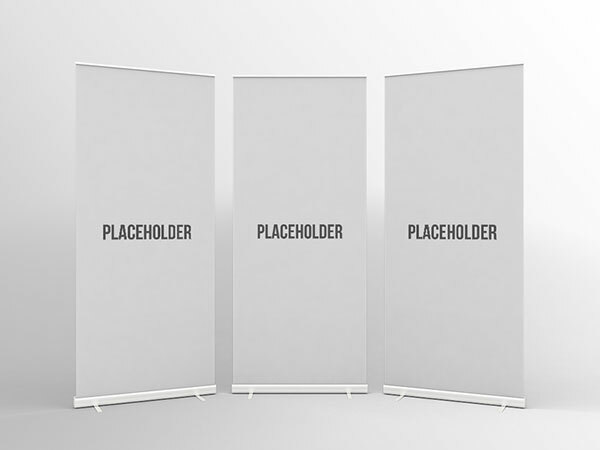 Only then one is able to practice what he has learnt in his life. 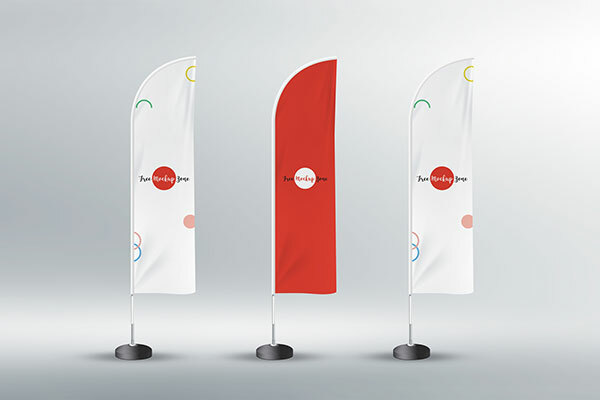 When you try to stage and imitate the work of someone else it does not take you a long way. 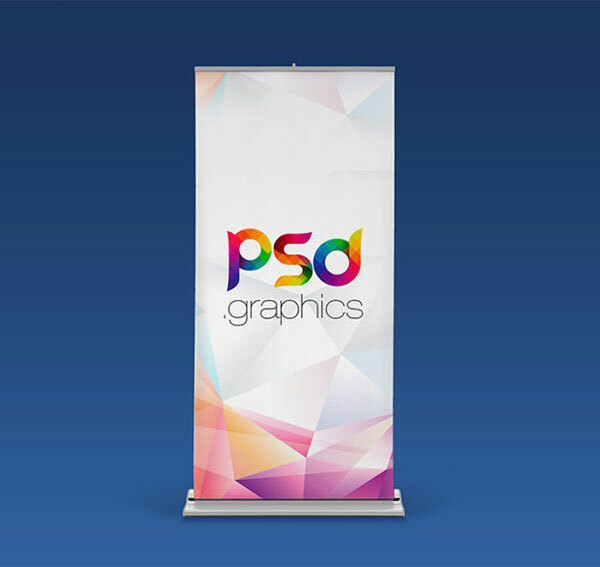 Success never comes to a corrupt mind and the sooner a person realizes the better it is. 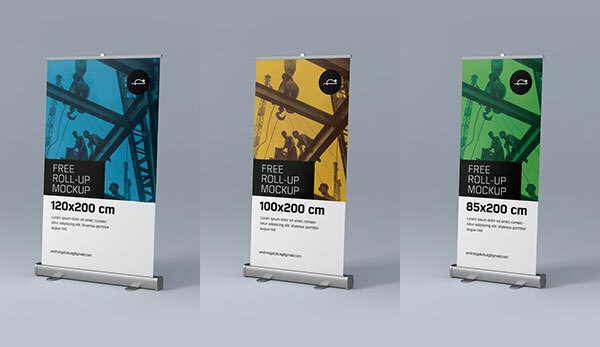 Designers are always very patient for the knocking opportunities and they grab them up when it is the right time for them. 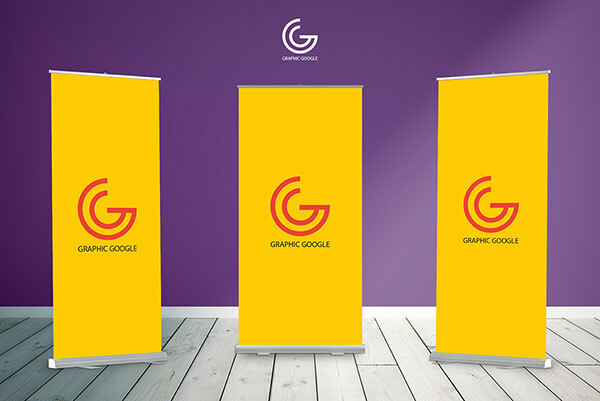 They love to try out the best of their abilities to prove their potentials, and they never grieve about their choices in life. 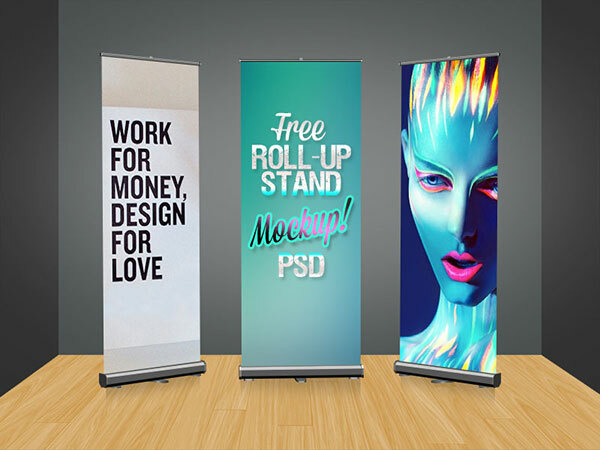 Well getting a new project is as important as soul comes to a body. 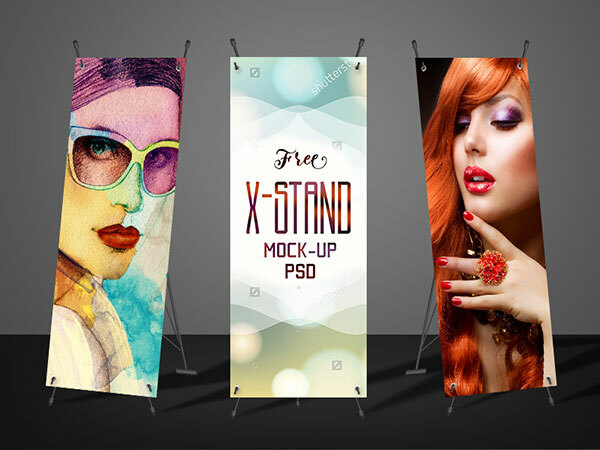 So do you maximum way possible to bring out a masterpiece. 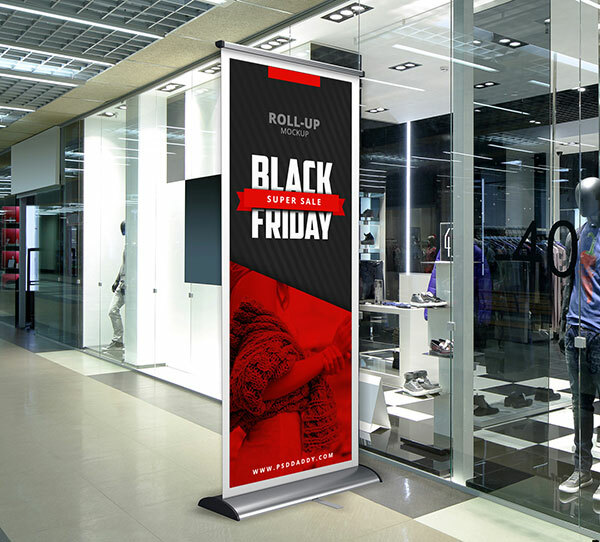 Different brands and firms like to imply different advertising mediums that suit them and those who can afford to advertise bigger, they invest bigger. 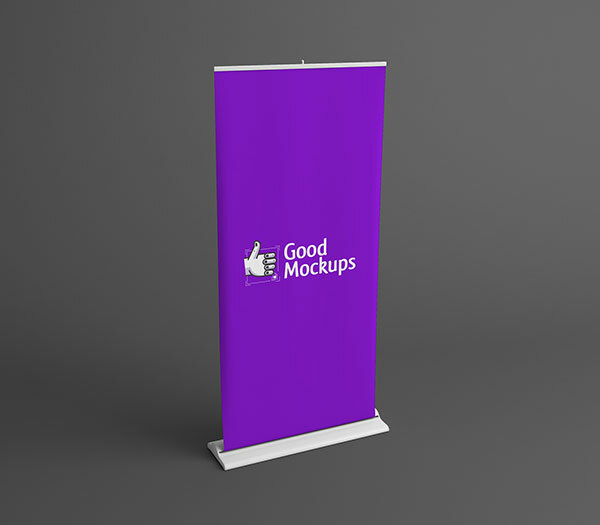 Coming towards my today’s post which will help you a lot in your next/upcoming projects. 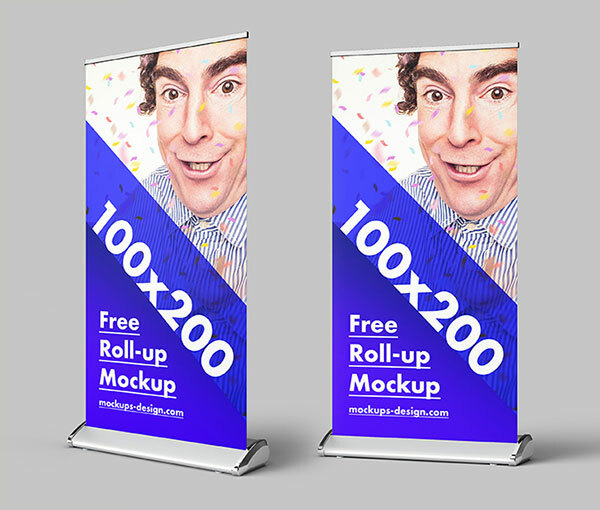 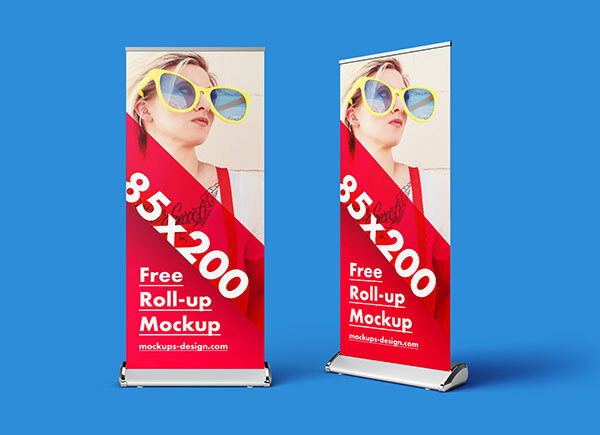 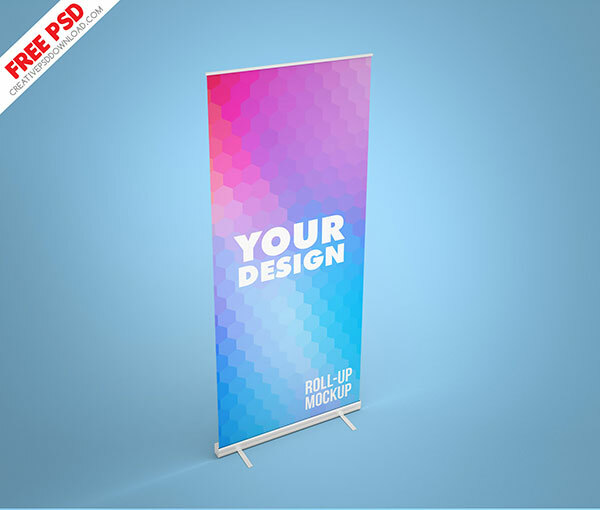 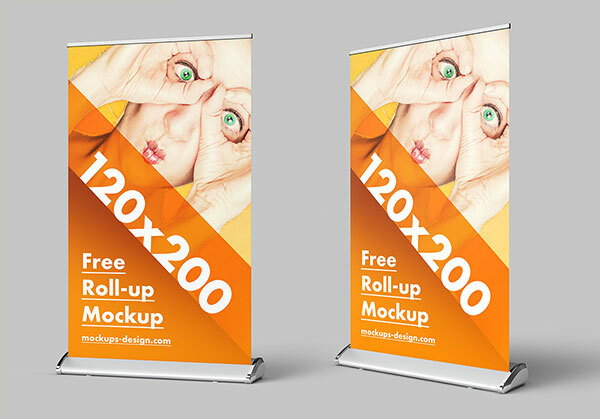 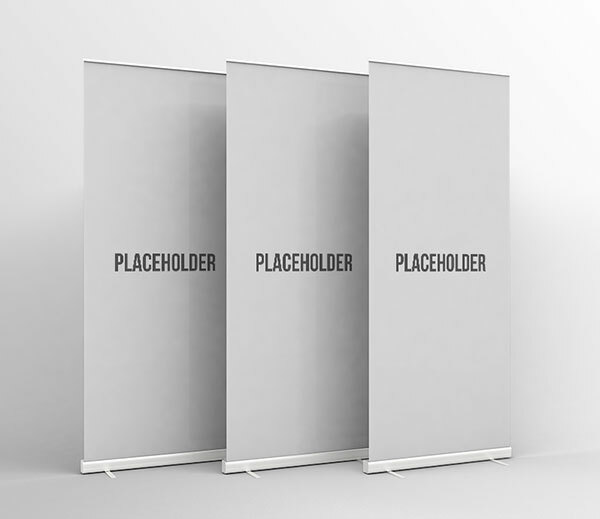 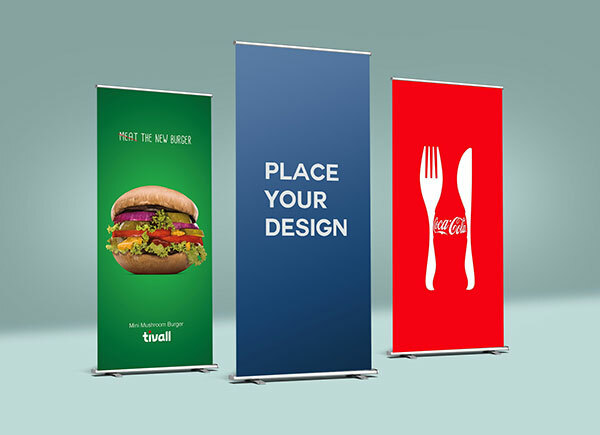 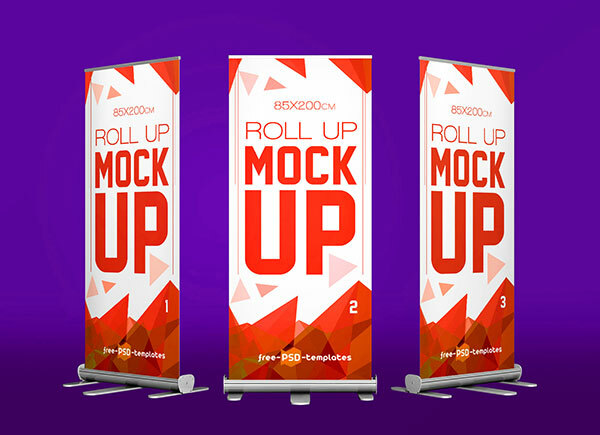 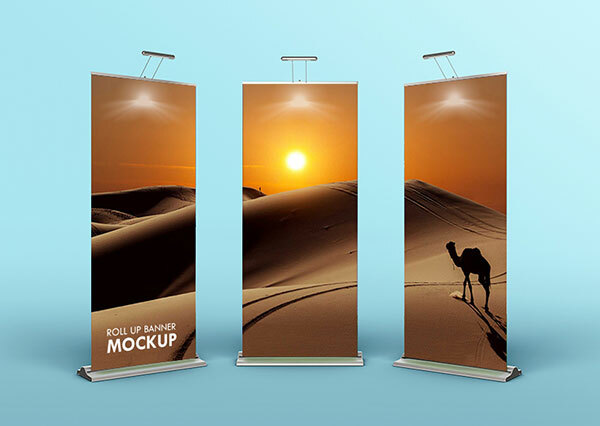 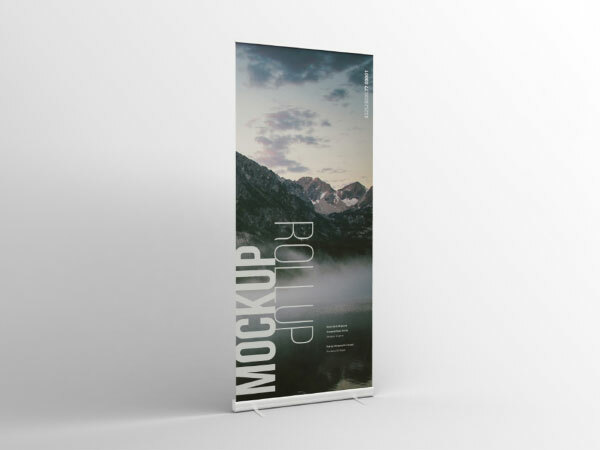 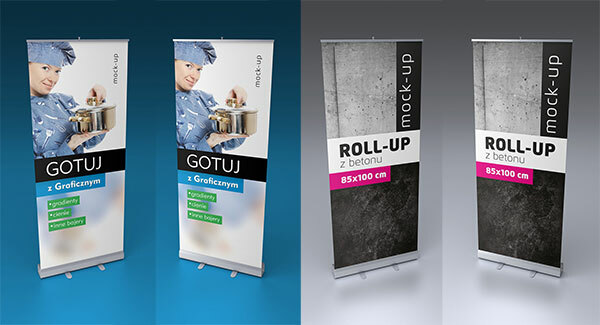 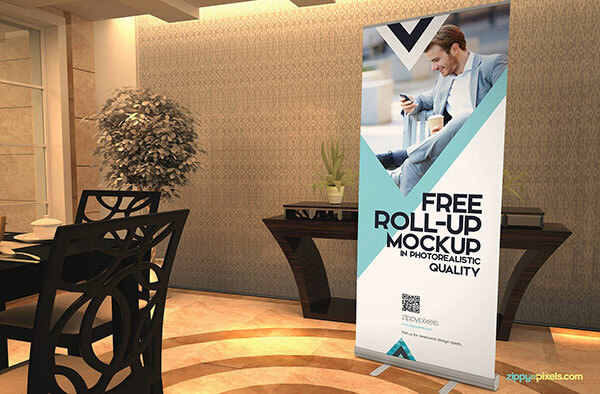 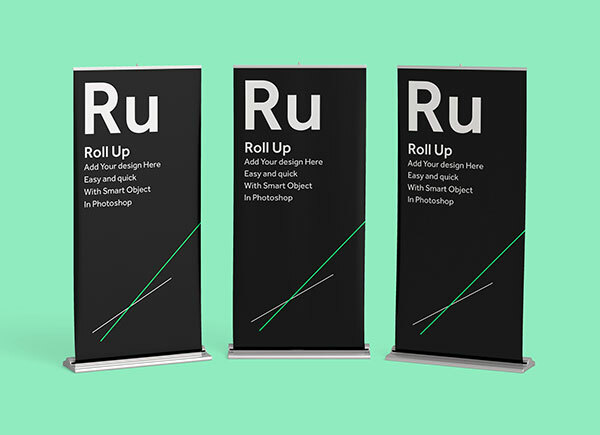 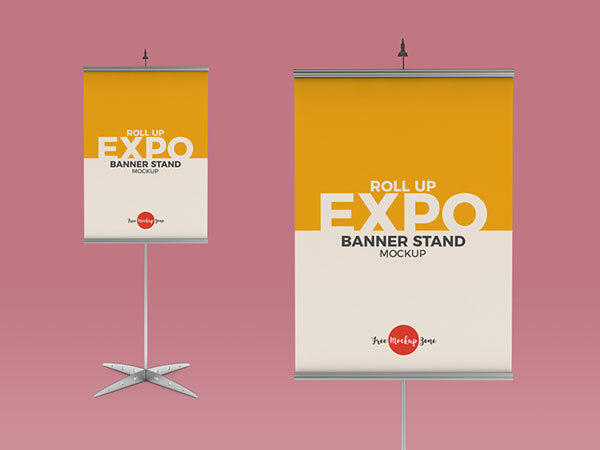 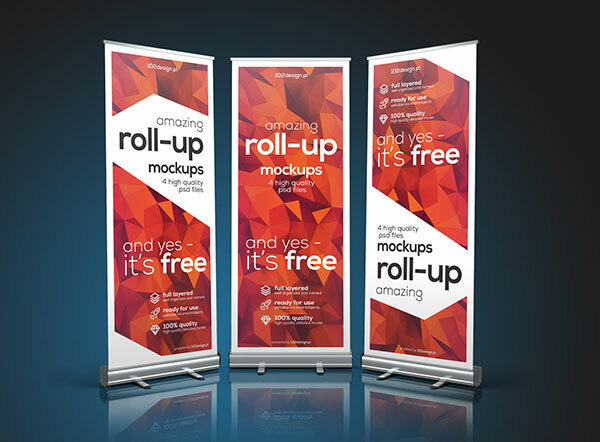 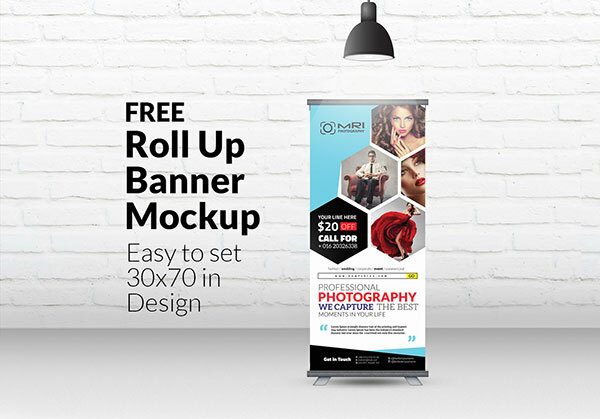 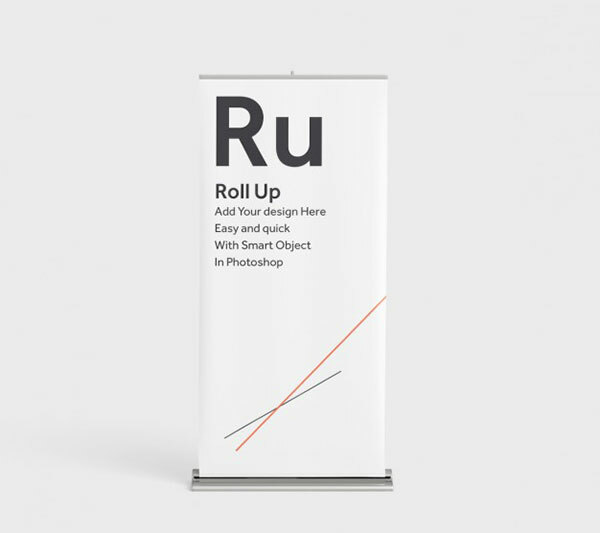 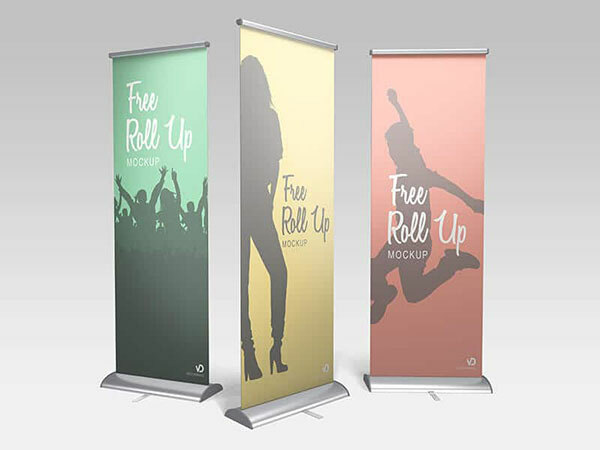 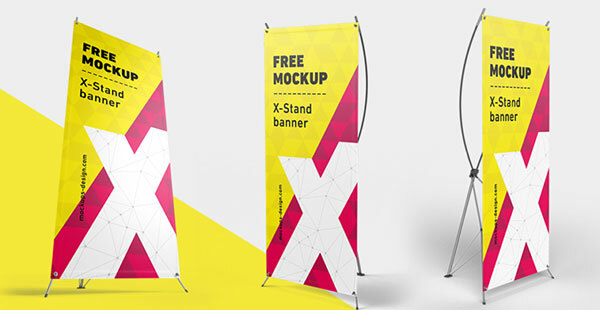 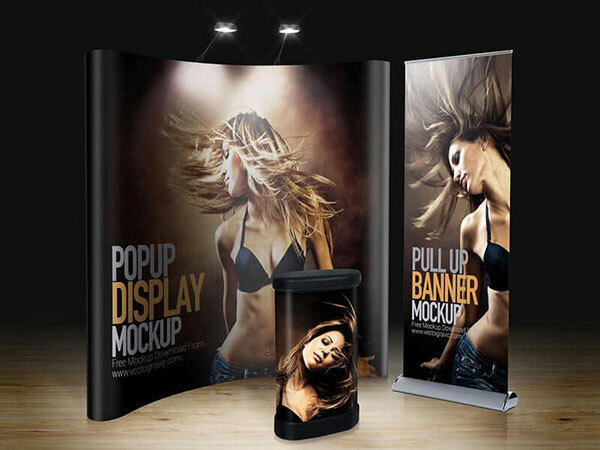 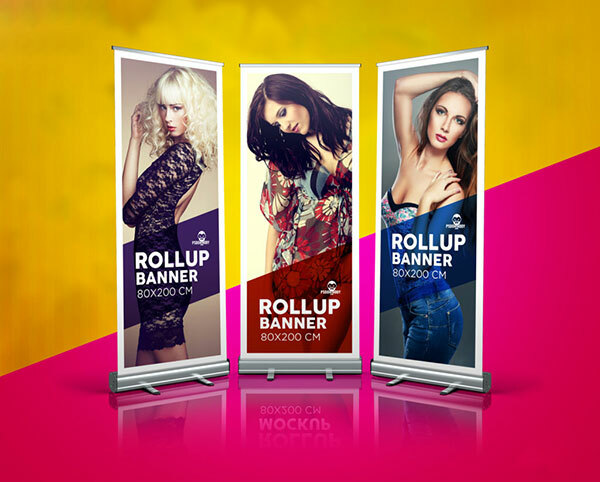 Have a look at the collection of 35+ free roll-up standing banner Mockup that can be used for a brand to advertise about their sales, promotions, discount packages, new arrivals and much more. 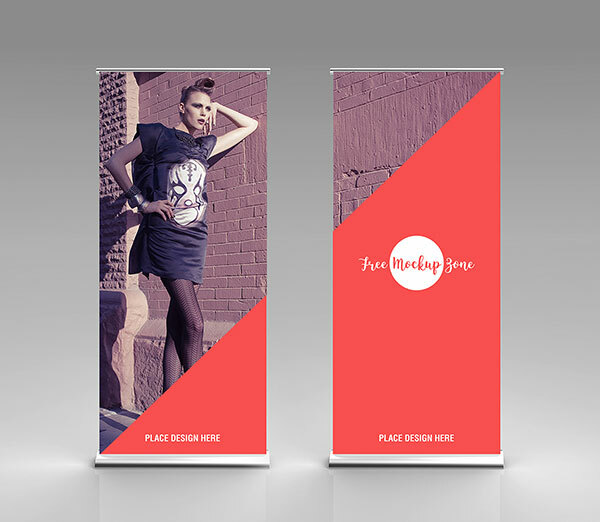 It is a good source of making people aware of the brand and all its upcoming/current details. 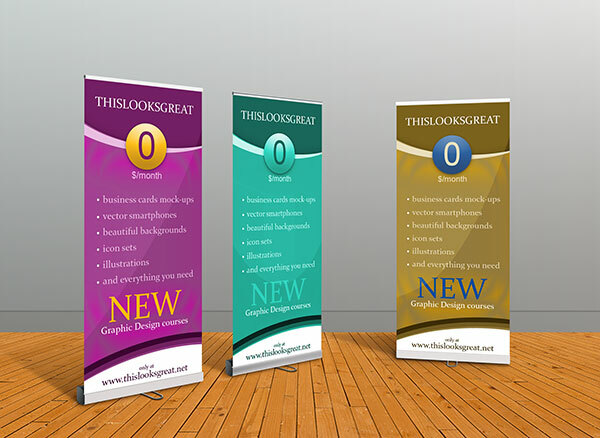 Also it is not as expensive as any other medium of advertisements. 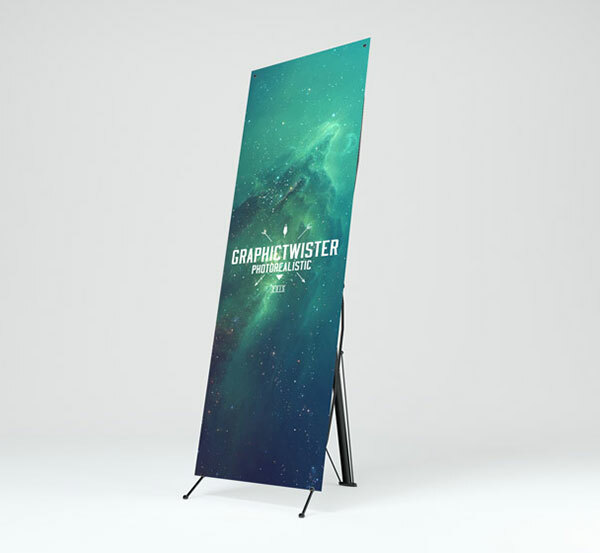 What do you guys say about it? 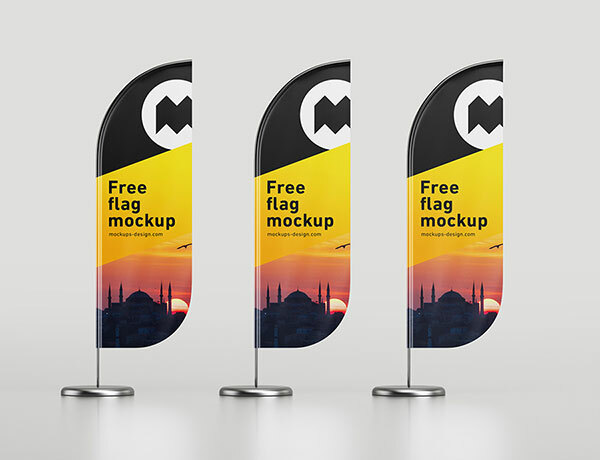 Revert us with your feedback. 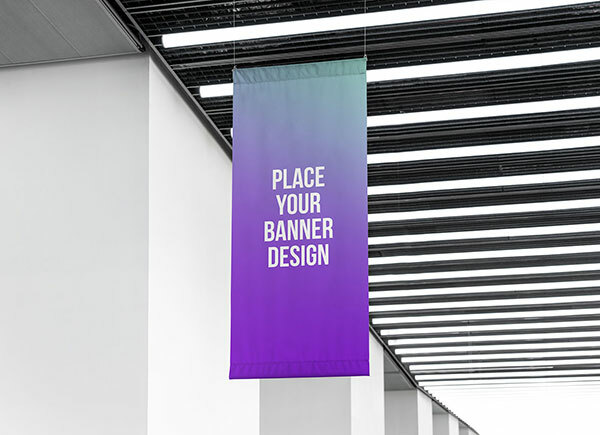 For more amazing design collection, stay tuned to the blog, we love to cater you as much we can so to inform you, guide you and aware you of the latest design trends running in the world. 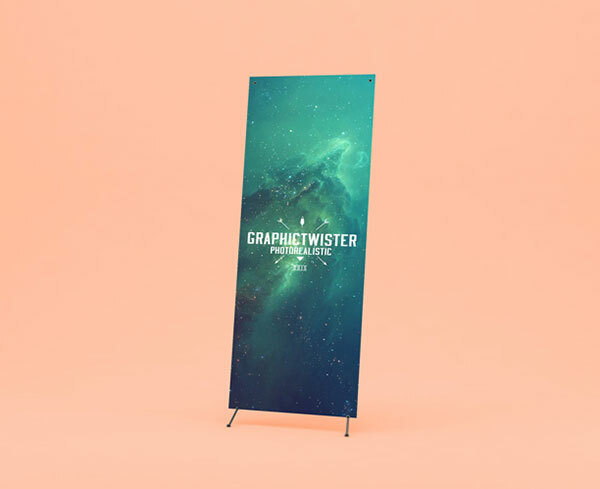 Here we go to come again next time with something interesting.